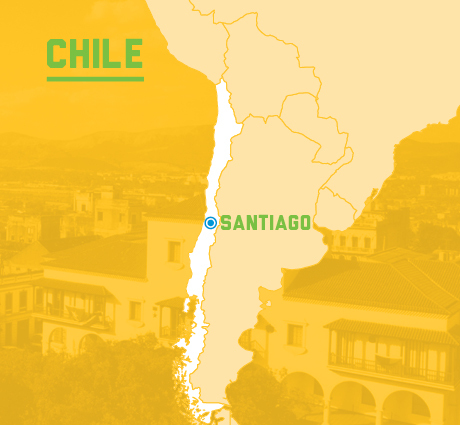 Situated on a narrow strip of land between breathtaking mountains and a stunning Pacific coast, Chile stands out as Latin America's most stable and prosperous country. 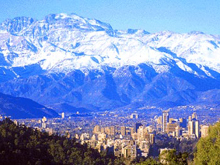 Within Santiago, Chile's capital city, the majestic Andean Mountain Range can be seen from almost anywhere. Housing more than six million inhabitants, Santiago is a friendly, relaxed city with an active center of arts, culture, commerce, and trade and one of largest areas of green parks within any urban space worldwide. It has a modern subway system and a new fleet of buses. Outside of Santiago, Chile's varied geography offers spectacular travel destinations, from Patagonia to the lake district; from the island of Chiloé to the vineyards in the central valley; from the beaches to the desert in the north. Popular day trips, just an hour and a half from Santiago, include the coastal city of Viña del Mar, famous for its beaches and young, hip crowd, and Valparaíso, Chile's main port and UNESCO World Heritage site.